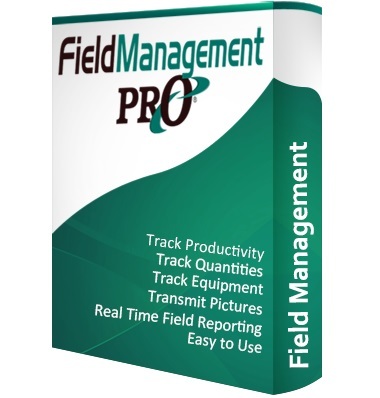 FMP has the ability to export data to your accounting system. We have worked with a number of our customers to properly format the data for their system. 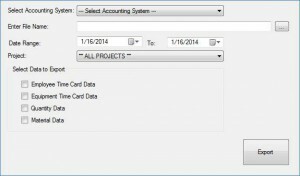 Each accounting system is somewhat unique in the formatting of the data. The good news is that we have developed a system that allows us to easily and quickly configure the export format to your accounting systems exact requirements. We even have multiple customers that use the same accounting system, but they each have implemented the accounting system in different ways. Due to the methods we have developed for our export, we are able to customize your export for your specific needs. 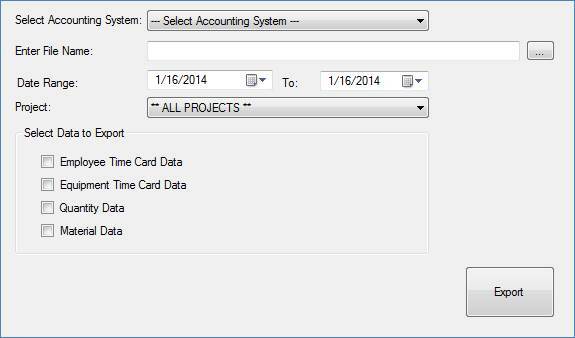 As you can see in the screen shot above, you can configure the system to export Employee Time, Equipment Time, Quantities and Material. Each of these exports can be performed at different times and have different formats. Also, if you have the system configured to require time cards to be approved, then the time cards cannot be exported until they have been approved. 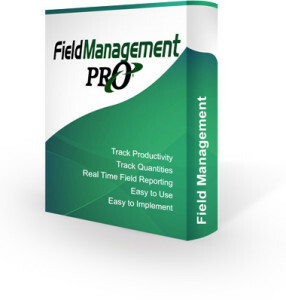 The process of creating an export template so that you can start exporting data from FMP is as simple as a phone call. Please call us and we will work with your accounting department to get the data formatted properly. If you have any questions, need additional information or have an idea for a future tip, please feel free to give us a call at (800) 541-0803 or email us at Support@OmanCo.com.